2. What about size and color9 The size and color can be changed according to your requirements or according to the size in our webpage or catalogue. 5. Can you design one specially9 Yes, send us details and a sketch or a picture of your requirements and we will quote you our best price. 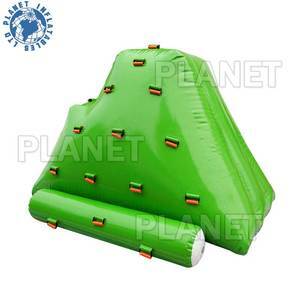 If it is damaged,you can use the glue and material to repair it,we will send a kit bag for every inflatable products. Design: We provide customer the design before production, so that customers can get right products. 0.9mm or 0.6mm PVC tarp for welding inflatables, depends on product use and customer &rsquo; s requirements. Quality Feature: Reinforced important parts of force bearing joints and friction, additional patchwork inside or outside, and extra glue finally. You can choose a similar design from our price list or your own design photos with detail requirements you have. Q: Can we use water games in winds9 A: Yes, we can make D rings on the corners for you to tie for stability. We will make/release shipment and send you shipping documents upon receipt of the rest payment . inflatable iceberg water toy, inflatable water toys for the lake, inflatable toys for kids Main Products Inflatable Bouncer Inflatable Slide Inflatable Tent 5K Obstacle Course Inflatable Sport Game Inflatable Swimming Pools Click Here to Send Me Inquiry The inflatable iceberg water toy is produced by Zhengzhou Winsun Co. ,Ltd which has specialized inflatable field for 19 years, we have approved CE / EN14960 certificates, assure top quality, pretty competitive price. 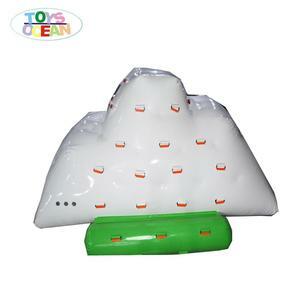 The inflatable iceberg water toy is made of Plato PVC which is very durable, waterproof, eco-friendly, has no chemical toxic gas in high temperature to hurt kids. For parts like anchor rings and handles, we use the big high frequency welding machine to weld on the products instead of glue on by hand. The parts and the main body are fused together so the quality is very stable and will not peel off. 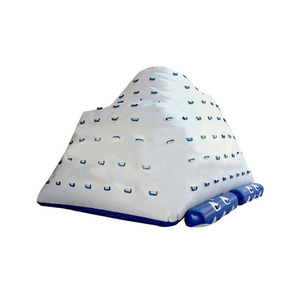 Contact Information If any interest Inflatable pool iceberg iceberg float/inflatable iceberg water toy, please contact us. Q:How I can place an order9 A:We will send you invoice after order details confirmed,you pay us deposit to start production,we will send pictures after finished,goods will send out after balance paid. Q:Can I put on my pictures/logo on9 A:Yes,you send us pictures/logo in AI or CAD,we will check for you printing method before production. Q:How can I pay the order9 A:We accept bank transfer,Western Union,deposit before production,balance before shipping. 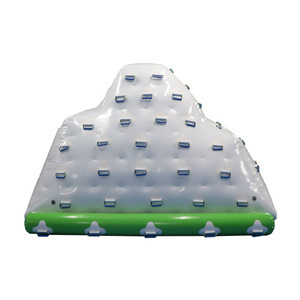 Alibaba.com offers 780 inflatable iceberg water toy products. About 77% of these are water play equipment, 3% are other toys & hobbies, and 1% are other amusement park products. 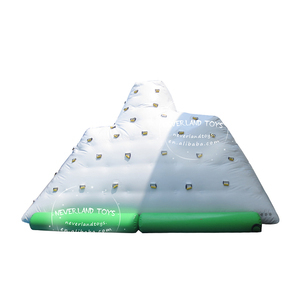 A wide variety of inflatable iceberg water toy options are available to you, such as free samples, paid samples. 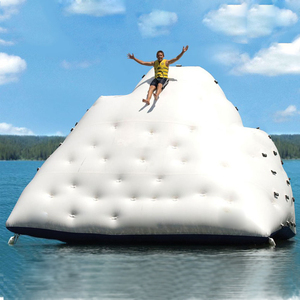 There are 780 inflatable iceberg water toy suppliers, mainly located in Asia. 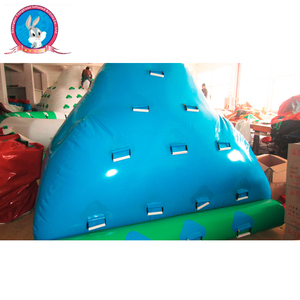 The top supplying country is China (Mainland), which supply 100% of inflatable iceberg water toy respectively. 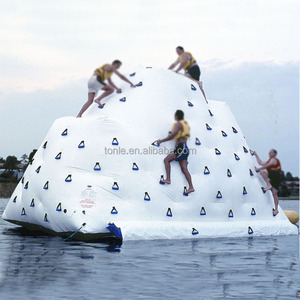 Inflatable iceberg water toy products are most popular in North America, Western Europe, and South America. You can ensure product safety by selecting from certified suppliers, including 56 with Other, 25 with ISO9001, and 4 with GSV certification.